Abalone (Paua) | Wildfish Export Ltd.
with its spectacular blue/green iridescent shell is unique to this country. 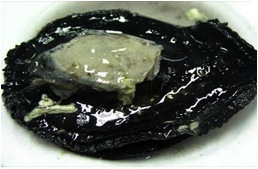 Paua’s firm flesh is extremely valuable in Asian circles and is central to some of the best Oriental seafood recipes. Some chefs consider it best served raw, in sushi or sashimi style. farm paua for both meat and pearls.